For Sebby's 2nd birthday celebrations we are having a picnic party! Hoping for great weather. We will be picnicing in the park. Near a cafe with ice cream. So I made these ice cream vouchers for the kiddies to get their ice creams from the cafe instore. I never knew how easy it was to make a stamp! 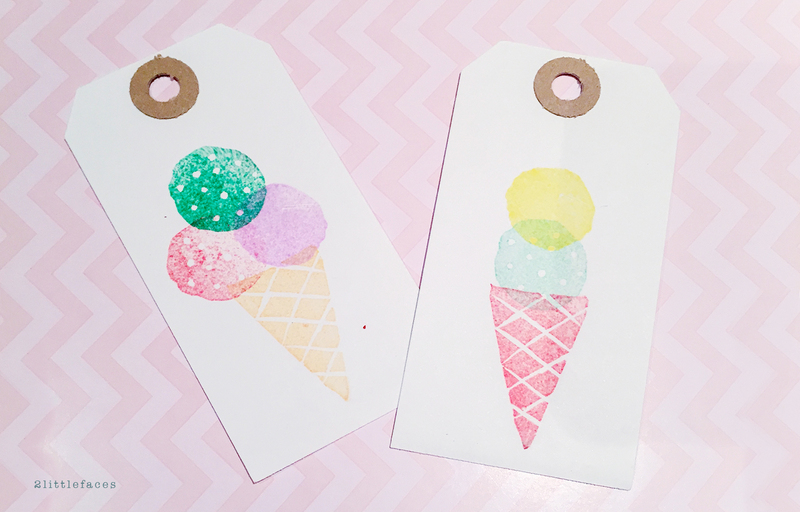 I found some cute ice cream stamps on etsy but it would have taken too long for delivery. So I made my own. And you can too. It is so easy! All you need is some erasers and a cutting knife. First I drew my ice cream cone and cut grooves to make the waffle lines and then made some scoops buy drawing around coins and adding patterns to the scoops ... 1 plain and one chocolate chip. You just need a really sharp scalpel. 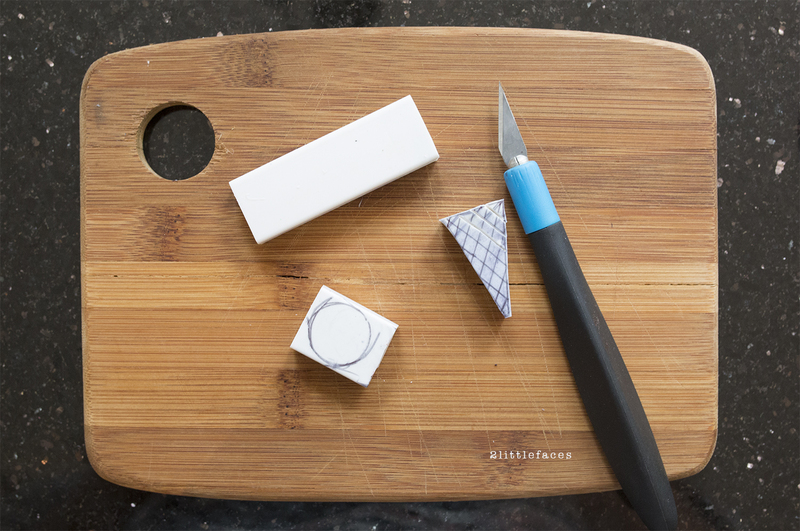 The eraser is really easy to cut into. 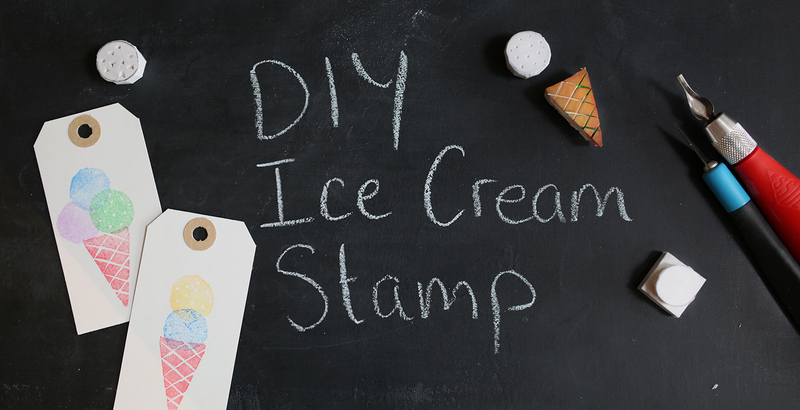 After making your little ice creams, get out the stamp pad and have fun! I had these left over tags from my wedding so I used them for the voucher. If I had time I would have stamped the back of the cards too. These also would make great gift tags or even bunting! I have a bunting love at the moment.